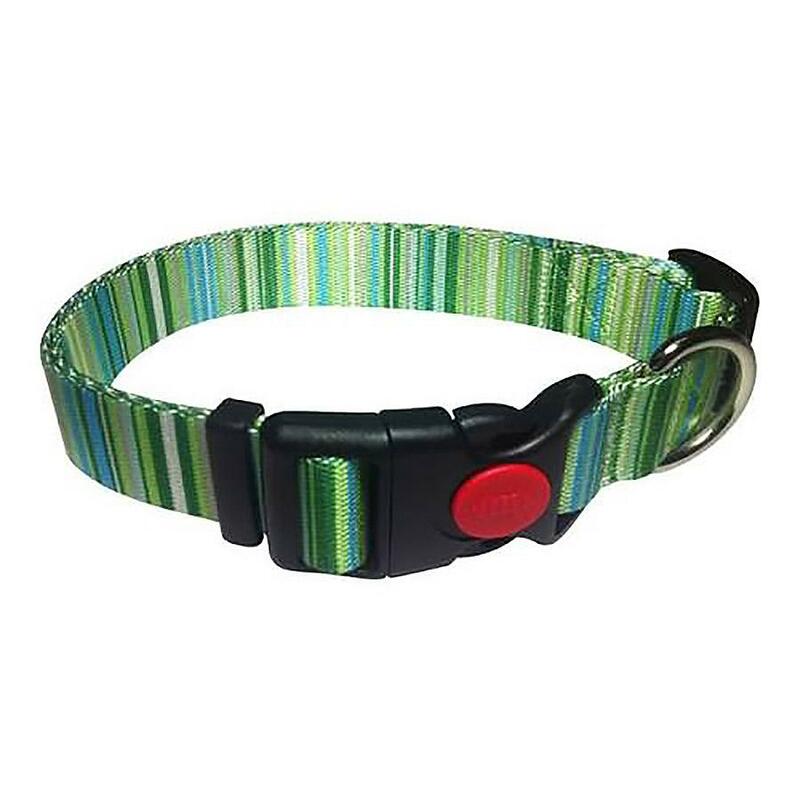 Give your pup a sporty and fun look with the Multi-Stripes Dog Collar in Green! 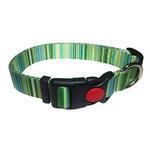 The Multi-Stripes Dog Collar in Green is a fashion collar featuring vibrant colors and fun designs! These collars are made of 100% dye-sublimated durable polyester, colorfast and machine washable. They are great for indoors or outdoors due to their high abrasion resistance, excellent UV protection, high breaking strength, and resistance to rot & mildew. Posted On 05/02/18 by Monica G from North jersey, NJ Yes, Monica G recommends this product! Perfect colors for summer! Has a cool little lock feauture once color is snapped on!